If you feel as if you had fallen into a deep, dark pit of debt and have been thinking about filing for bankruptcy, it’s important to know its options and pitfalls. That way, you would be able to make an informed decision as to whether or not bankruptcy is really a viable solution. There are two types of bankruptcies available to us individuals. They are a chapter 7 and a chapter 13. 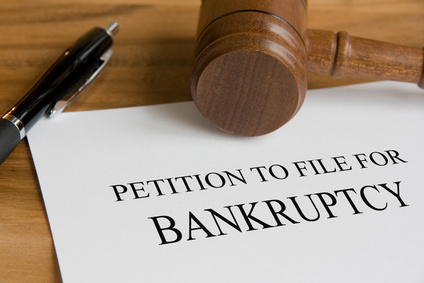 A chapter 7 is often called a liquidation bankruptcy. Its purpose is to liquidate your assets so that your debtors can be paid. However, in real life most people who file for a chapter 7 bankruptcy don’t have any assets that could be seized. This is because a chapter 7 allows you to keep the equity in your house and automobile, your personal belongings and furnishings and any tools used in your job. So unless you have some very valuable asset beyond your house and car, you probably have no assets you would lose by filing for a Chapter 7 bankruptcy. The other part of liquidation in a chapter 7 bankruptcy is the fact that it liquidates most of your unsecured debts. While it can’t do anything about an auto loan or a mortgage, a chapter 7 will discharge credit card debts, personal loans, lines of credit and medical debts. However, it cannot discharge student loan debts, alimony or child support, past due taxes and any loans obtained fraudulently. This type of bankruptcy is called a reorganization bankruptcy because it’s objective is to give you a sort of timeout to reorganize your finances and then pay off your creditors. Without getting too technical the gist of a chapter 13 is that you must develop a plan to pay your debts, submit it to a judge, have it approved and then begin working your plan – which normally takes 3 to 5 years. The upside of a chapter 13 bankruptcy is that you don’t lose any of your assets and that so long as you stick with the plan, your creditors cannot contact or harass you. The biggest negative of a chapter 7 bankruptcy is what it will do to your credit score. Many financial experts believe that a bankruptcy will drop a credit score by as much as 200 points. This means that if you had a credit score of 690 going in, you’d have a score of 490 going out or what’s considered to be “bad” credit. It would likely take you at least two years after the bankruptcy to get any new credit and when you were able to get it, you’d have to pay a very high interest rate – due to your new credit score. I’ve seen examples of where this could increase the interest rate you would have to pay on a new mortgage ( if you could get one) by as much as 4%, which would literally cost you thousands of dollars over the course of the loan. This would probably even impact the cost of your auto insurance premium and maybe your rent. A bankruptcy will stay in your credit report for at least seven years or as long as 10. Plus, bankruptcies are public records. Twenty years from now a prospective employer could see that you had had a bankruptcy and decide to not hire you. Or a prospective lender could decide not to grant you credit because of that bankruptcy – even though it was no longer part of your credit file. While a chapter a Chapter 13 bankruptcy will not have as severe an effect on your credit score as a chapter 7, it does come with some downsides. For example, you will have to pay off your debtors using your disposable income or whatever amount of money you have left over after you have paid the necessities such as food and housing. With a chapter 13, you will still have to pay any alimony or child support you owe and it will be tough to get a new mortgage.